On December 21st, Yule no less, esteemed in-world fashion designer Wiccan Sojourner passed away. I cannot profess to saying that I knew Wiccan well, but I did have a number of encounters with her over the years and she was totally lovely. So friendly, helpful and modest – I know that we always have a tendency to say things like that about people who pass away, but honestly the impression that she left on me was that she was a remarkable lady and she was infused with a spirit than genuinely shone through into the virtual realms. 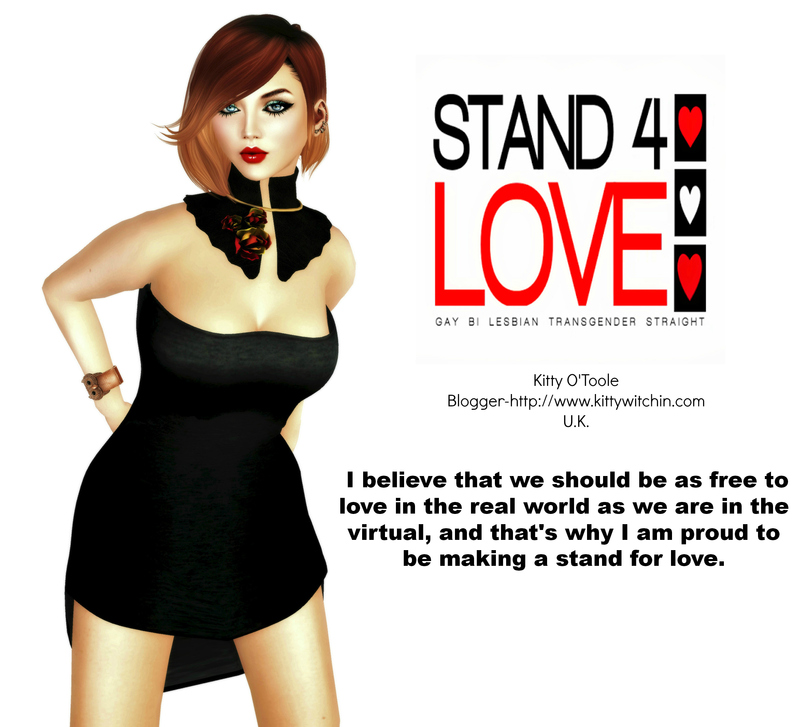 Her store, ‘Bewitched Designs’, with its infamous logo and quirky stylings, was for a long time one of the stalwarts of alternative fashion upon the Second Life grid, featuring a range of cloaks, costumes and outfits for both male and female avatars. Indeed, at one point Wiccan’s main store, on Witches Island, was one of my favourite haunts. Not only was the store amazing, but she had landscaped the environment perfectly, and I often visited the stone circle there as I popped by on a shopping trip to look at the latest releases. 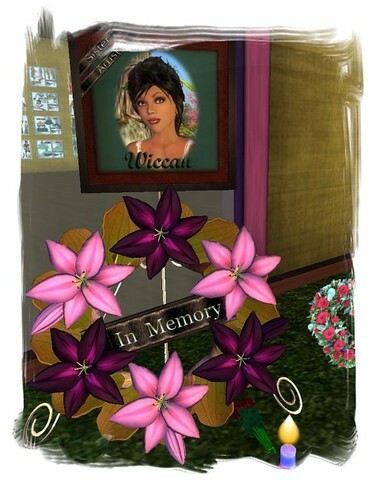 To celebrate her mother’s work, her RL (and SL) daughter Sheltered Heart is going to have a final sale at Bewitched Designs, before this iconic store closes its doors for good.I’ve just popped by the store and got a wee lump in my throat; there’s a memorial to Wiccan outside the main entrance. Inside you’ll find a selection of wedding gowns, as well as dress-up items including one of the best William Wallace ‘Braveheart’ costumes you’ll see in Second Life (Oh how I love a man in a kilt!) There are also Jack Sparrow and Will Turner as well as Sweeney Todd costumes available for purchase, including a faithful reproduction of Mrs Lovett’s gown. Like most of Wiccan’s work the designs carry her signature eclectic flair and cover a vast array of styles (From Victoriana to pirates to latex catsuits to..Evil Knievel!) but if ruffles and flamoyance are your thing then you really need to pay the store a visit before it passes into Second Life legend.